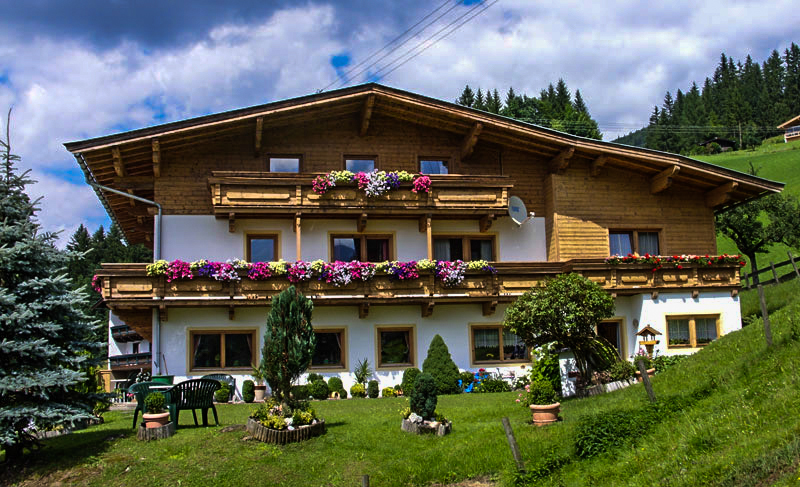 "Sonnleitn", the rural expression for a sunny hill, describes the location of our house the best. 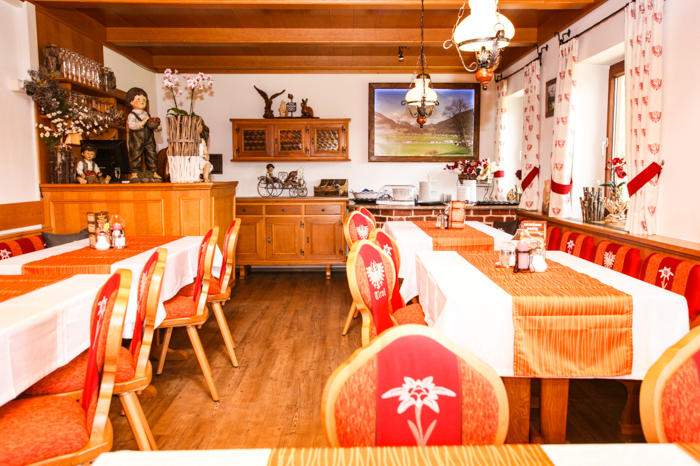 Our pension lies in the heart of the Kitzbühler Alps. 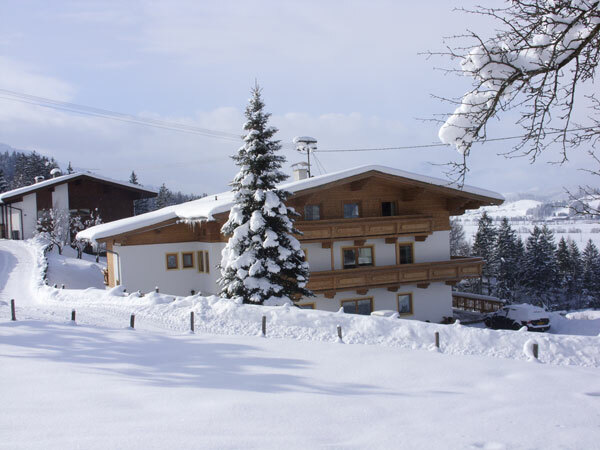 In winter, you can directly start your skiing day next to our house in the ski area of Kirchdorf! Additionally, you can reach the other ski areas like Steinplatte, St. Johann, Fieberbrunn, Kitzbühel and Skizirkus Wilder Kaiser-Brixental in few minutes by car. In summer, you can expect guided hikes, mountainbike tours, motorcycle tracks and huge wellness areas in our beautiful countryside. 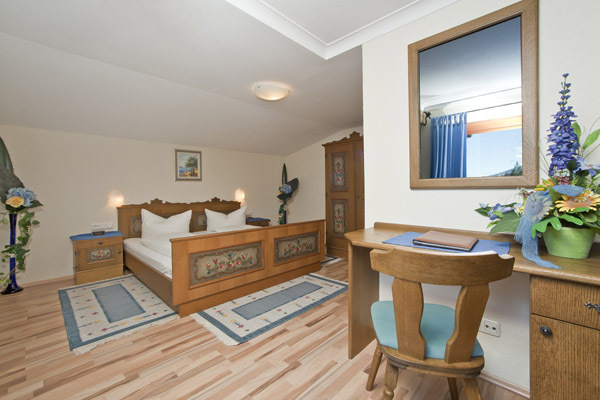 Our comfortable rooms are arranged in a typical tyrolian style with SAT-TV, internet access, radio, bathroom with shower and WC and a balcony. 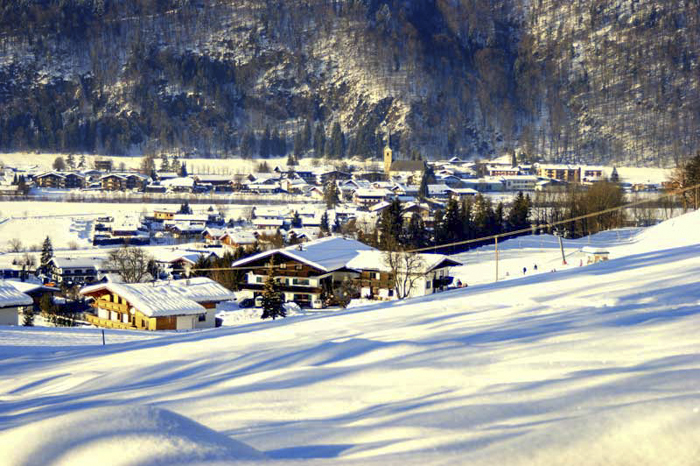 From the balcony you have a great view over Kirchdorf to St. Johann and you can enjoy the variety of the mountains from the "Wilden Kaiser" to the "Kitzbühler Horn" and more!